This entry was posted in Racing on February 9, 2011 by Steve Tilford. 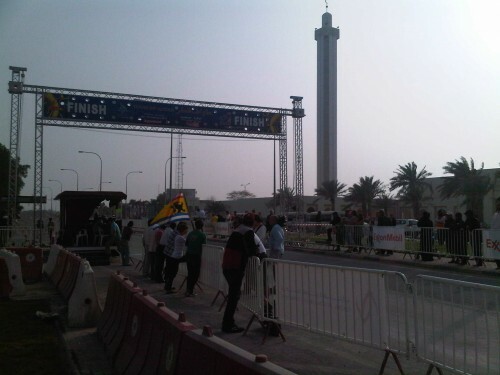 Henrich Haussler, the new race leader, before the start today. 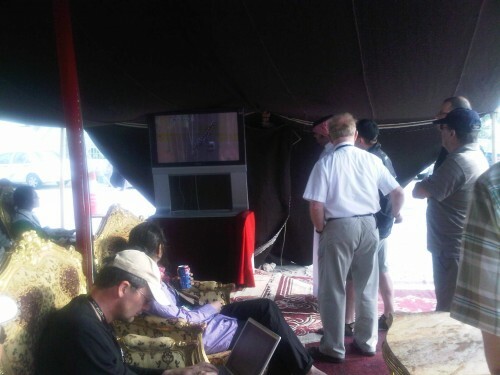 This is a tent that they sent up, with lounge chairs and carpets, for the sheikhs to watch the race from. 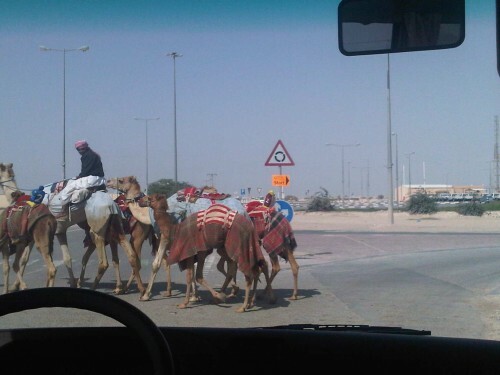 Camels crossing the road on the way to the feed zone. Loading the bikes into trucks to take to the start of the race.